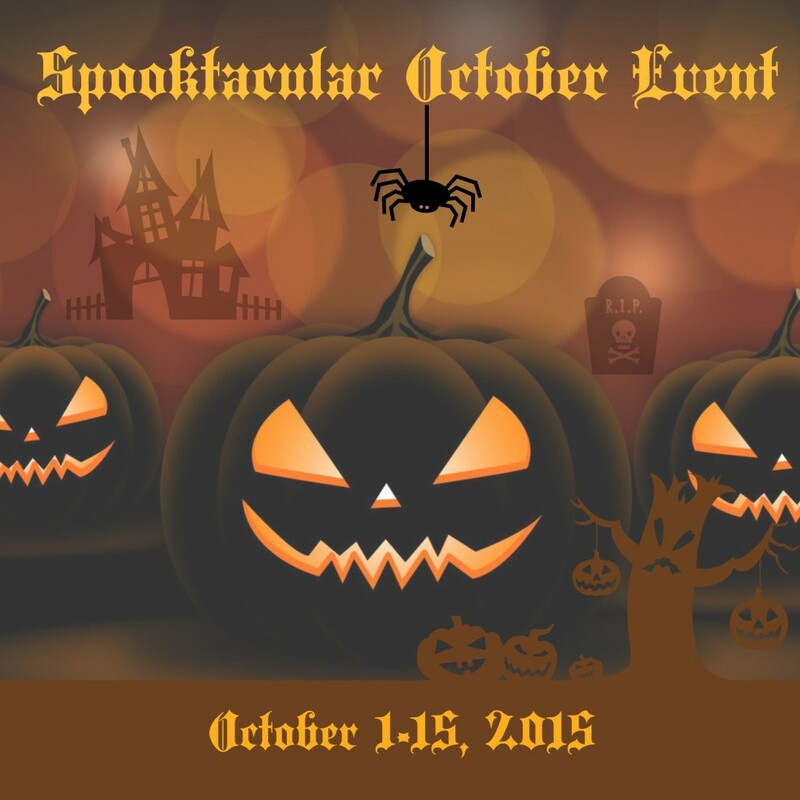 Welcome to the 2015 Spooktacular October Event! We are excited to bring you some awesome prizes! This event is hosted by Dixieland Reviews and Co-Hosted by Imperfect Women, Finger Click Saver, Joyful Gifts by Julie, Mom n' Daughter Savings and Mom to Grandma. This event is sponsored by We Love Travel Deals, and Good Fortune Soap. One lucky winner will win a $500 Visa Gift Card that can be used for anything! You could get your Halloween decorations, or start prepping for the upcoming holidays! One lucky winner will get this great outdoor inflatable depicting the Headless Horseman! arv $190. Last, one lucky winner will win a GoPro Hero 4 to capture all the excitement of Halloween and the holidays! arv $499. Must be 18 years of age or older and a resident of the U.S. or Canada. Void where prohibited by law. There will be one mandatory entry that must be completed, all other entry tasks are optional, but do give you more entries into the contest. Event begins at 6 am eastern standard time, on October 1, 2015 and ends on October 15th at 11:59 pm eastern standard time. Winner will be chosen by combining all entries and choosing the winner via random.org to ensure a fair drawing, and will be announced on our winners page. Participating bloggers are not responsible for shipment of prizes, all prizes will be shipped via the various sponsors. Entry is easy, just follow the instructions on the Giveaway Tool below. All winning entries will be verified. I like mainly that’s it’s no longer hot like summer was & I can tolerate my outdoor exercise better. I love going for walks after it’s dark early but still warm; just magic seeing all of the lights while still wearing my day clothes. Thank You for the giveaway…we love the Fall because we attend college football games, meet with old friends who come into town for the games. I love the cooler weather because too much heat gets to me and I love to pull out my boots and sweaters. I like the fall activities and festivals. Great way to spend time with my family and enjoy the weather. The time for being thankful for our bounty of blessings and sharing that time with those who matter to us. Wishing everyone much to be grateful. I love walking through the fallen crunchy leaves and feeling the crisp air. the colors and cooler weather. My favorite thing about fall is the beautiful scenery. The trees have fantastic colors. MY FAVORITE THING ABOUT FALL IS PRETTY MUCH EVERYTHING…THE AUTUMN COLORS, FALLING LEAVES, JEANS AND SWEATSHIRTS WEATHER, APPLE CIDER, AND NIGHTS BY THE FIRE, AND BEST OF ALL….HALLOWEEN!!! I love the scent of wood burning in fireplaces and the changing leaves, but most of all I love football. I love the changing colors and nice weather. I live in Louisiana so any change is good. My favorite thing about Fall is the lower humidity and cooler temperatures so I can get outdoors more for walking with my dogs and husband! My birthday and Halloween are in the fall. I love so many things about this time of year, it’s difficult to pick just one. I’ve the smell of burning leaves, I love that it gets dark earlier, I love the sights and sounds of local high school football games. Fall is so relaxing. My favorite thing about Fall is that usually the weather cools off. I live in Southern California so this is not always true. I love the brilliant fall colors. My parents live in a rural area and the views of the surrounding countryside are breathtaking. Thank you for the great giveaway. After a hot summer, is very nice to get a good night of sleep with widows open and fresh air…….and, off course, the changing of leaves color; gorgeous! My favorite thing about fall is the cooler weather! Here in Mississippi it is way to hot and humid during the summer. My favorite thing about fall is celebrating my anniversary with the perfect husband. My favorite is the cooler weather!! Because after a hot summer cooler days are so refreshing!! This fall my favorite thing seems to be soup, I can’t stop making it! I love all the fall activities, apple picking, pumpkin patches, cider and of course Halloween!! My favorite thing about fall is the color of fall leaves and that walk in the garden in cooler weather. My favourite thing about fall is the beautiful colourful landscape and sharing it with my family. I like the cooler weather so I can enjoy outdoor activities. I look forward to the leaves changing and the yearly visit to the pumpkin farm. I LOVE riding the hay rack out to the field and running around like a kid trying to find the perfect pumpkin(s)! I really love the cool weather in fall. Like most my favorite thing about fall is cooler weather.Now if it would just cool down. Oh how can I pick just ONE thing that I love about fall? Ok, my mini list. – Perfect weather for this Canadian chick. – Autumn spiced, pumpkin spiced, cinnamon spiced everything. My favorite thing about fall is the cool weather. I love being able to have my windows open and be able to go outside without burning up or freezing. I like fall because it is the perfect weather to run in and I enjoy to change of colors in the leaves! The leaves changing color, oh and the joy of raking them up!!!!!!!!!!!!!!!!!! I like the cooler fall weather. I love the fall weather and Halloween – it’s my favorite holiday! My favortie thing about fall is the cooler weather, the changing leaves, and the comfort food. October is such a beautiful month with the changing leaves. the change of cooler temperatures, as well as seeing the leaves turn autumn colors and fall. Miami is very hot as you can impinge I look forward to fall everything year because to me its that start of the cooler temps and holidays starting with Halloween. After seeing green for several months it is nice to see a few yellow and orange leaves. we love to go to the farm nearby for the festival they do! thanks so much for the chances to win. I love the cool weather – it feels so nice after a hot summer. I also love how the leaves change color – so gorgeous! the change in temp…not too hot not too cold. Favorite thing about fall is how beautiful it is when the laves change colors! living in SoCal, I love that we finally get a bit chill in the air and I can wear a scarf 😉 also the general feel in the air, as if the chill has slowed things down and spirits are lighter. It reminds me of home… England! My favorite thing is the cool weather and being able to travel places with the changing leaves because I love photography. cooking amazing food for my family and friends, I cook for a living and love to do so. My favorite thing about Fall is the relief from the humid, summer heat. I love that little chill in the air that is gone by afternoon. I like the crisp turn in the air. I like having the fireplace going in the evenings and the leaves changing colors. I am a fan of long sleeves and light jackets so the weather really appeals to in the fall! I love cool morning runs b/c it starts my day off right. The desserts, can’t wait for that pumpkin pie!! I just really enjoy the cooler weather, and so do my dogs! i love the weather. i am a huge fan of cardigans. I also love wearing orange and black! I love the weather and Halloween. I love fall because of all the great smells at the farmer’s market. Apples, pumpkins, and all the fall colored flowers. My favorite thing about fall are the colors and the weather. I love to wear sweaters and jeans. I love putting out fall decorations and baking apple dumplings. My favorite parts of fall are the weather getting cooler and the leaves changing so pretty. We enjoy raking leaves into a pile and jumping in them….taking pictures every year! It’s been fun to watch the kids grow, over the years! I like fall because the weather cools down and means halloween is coming soon! I like Fall because that means cooler weather has arrived. I like all the smells and colors of fall and the weather is just perfect! I love fall because the weather gets cooler after a long hot summer. All the plants seem to get a rest after all the activity of the spring and summer. And it’s the best time of the year to be outdoors working or just enjoying the weather. I love the fall colors…it’s beautiful and the weather, to me, is the best. My favorite thing is the weather changes, Halloween, and my birthday! The cooler weather wins me over but I feel like it is the perfect time of the year to slow down and relax! My favorite thing about fall is the leaves changing colors and everyone’s decorations. The weather is cooler and things feel like they’re slowing down. October is also my birthday month! Autumn’s crisp weather and sharp, bold colors make me happy and pull me out of the dolldrums! I love the colder weather that fall brings that way I can bundle up by layering clothes or curl up in a warm blanket. This is so sweet of you guys 🙂 good luck to everyone! I love the cooler temps, and the northern lights. Both are a sign of winter which means change. The cool evenings and the smell of wood burning in fireplaces is my favorite thing about fall. I love the colours of fall and go for walks in the crisp air. There are too many favorites. I love that it’s cooler and I can wear my jeans and cardigans. I love the noise leaves make when I walk through them. I love dressing up and seeing kids dressed up for Halloween. It’s all so amazing. I love fall 5Ks and getting to race in cooler weather. The return of pimpkin pie with whipped to lots of menus and dessert offerings. I love pumpkin pie. My favorite thing about Fall is the cooler temperatures because in Florida we need the break from the heat. I like that it is cooler weather but still nice enough to go outside. I love the color of the leaves changing. Fall is the best part of the year. All the beautiful colors and the sunlight just make everything perfect. Weather is always the perfect temp. And sitting outside by the fire with the family tops it all off. fall and a chance to win?! Yay! Absolutely love it! I love the colours of the leave changing and the cooler but not cold weather is a bonus. I love the weather, it’s nice and cozy and of course Halloween and Thanksgiving! Love the fall colors and the crisp clean fall air. My favorite thing is the cooler weather and of course the colors. But really I like everything about Fall! My favourite thing about fall is the colours! The beautiful fall leaves are my favorite thing. My favorite thing about fall is the cooler weather with less humidity. I’m all about Halloween during fall, I love decorating and taking my son out trick or treating. My favorite thing about fall is going for walks in the woods on crunchy leaves! My favorite thing about fall is richly flavored festive drinks, like egg nog, mulled wine, and Christmas punch! wearing my hoodies now have a place to carry my keys and phone. My favorite thing about Fall is getting to wear boots and jackets to stay warm. My favorite thing about fall is the changing of the trees. It is so beautiful just to take a drive and view the countryside. My favorite thing about fall is family gatherings! I can’t wait for the leaves to start changing! I love the cool crisp weather! My favorite thing about fall is HALLOWEEN because my whole family gathers at my house for chili and trick-or-treating. We’ve been doing it for generations! My favorite thing about fall is the weather. the air is cooler and the nights are cooler plus its the season for soups and hot drinks and being cozy indoors. I love the chilly air so that I can snuggle up in a hoodie. I like the excellent weather! I love the colour changing of the leaves and the cooler night temperatures. My favorite thing about fall is the beautiful fall foliage photos people share on social media. It reminds me of my days in Portland, ME, walking, feeling the crisp air and the falling leaves beneath my feet. My favorite thing about fall is the leaves changing colour because it makes for a beautiful walk through the river valley! I love EVERYTHING about the fall…the cooler weather, the bugs all go somewhere else (I don’t know where but as long as it’s away from me), the holidays, and pie! lots and lots of pumpkin pie!!!! My favorite thing about fall is going to Octoberfest. I love the colors and flavors of the Fall season. My favourite thing about the fall is hiking. There is something about the air in the fall that makes me want to get outside. My favourite thing about fall is Halloween! My favourite thing about Fall is hiking and camping. No people and no bugs. My favorite thing about fall is watching the leaves change color. I love our yearly outing to the apple orchard and, with the cooler weather, a pot of soup simmering on the stove. The spectacular display of colors from the hundreds of trees I live amongst make it a little easier to say goodbye to the long, beautiful days of summer. My favorite thing about Fall is the change of color and cooler weather. I love watching the leaves change colors! I love fall clothes – from the colors to big comfy sweaters & boots! I love it all! I love fall because all of the leaves changing colour look so beautiful. I also love the smell from all the baking I do during fall. The cooler weather and the changing colors! I love my morning walks even more when I am out, as you can smell the scent of wood stoves burning! The grandkids love to pick up the different leaves and bring back home! I love fall because I know that it is time to prepare for the holidays which are right around the corner!!! I love the fall colours which make it the most beautiful time of the year. I love fall weather – it’s not just cooler, but it’s crisp and the air smells marvelous. And I get to wear sweaters -my favorite! I love the sights, the sounds and the smells of Fall. Seeing the changing colours of the leaves, the brisk but semi-sunny weather, Halloween decora, hot apple cider, and apple cider doughnuts. Fall is literally my favourite season. My favourite thing about Fall is the gorgeousness of the different coloured leaves! I like the changing colors of the leaves because it is a really pretty time of the year to go on nature walks. My favorite thing about fall is the COLD. I love the fall colours and the special times with family like Thanksgiving and Halloween. I love the cooler weather and the changing colors of the trees. I love the fall colors because they are just so beautiful to see! I like the cooler temperatures after burning up in summer. My favorite thing about fall is all of the pumpkin flavored items that come out this time of year. I like the cooler weather of fall, because I hate the heat! I love the colors and weather! The changing leaves and soups in the crock pot all the time! I love thunderstorms when I am sleeping. I even like the rain. I love the weather and the fashion trends! My favorite part of fall is the cooler temperatures! I love how well I sleep with the cool crisp air coming in the window! The leaves are changing colors now and the are so pretty. My favorite thing about Fall is the leaves changing colors on the trees and the smell of soups and baked goods. I love the fall colors! They are so gorgeous! I also like the crisp fall air, and the foggy mornings (at least when I don’t have to drive in them). My favorite thing about Fall is to see all of the pumpkins everywhere, because I love pumpkins. My favorite thing about fall is thanksgiving because all the family gets together. I love the cooler weather! I am not a fan of summer. I wish it could be in the 50’s all year long. I also like that it’s the start of the holiday season. It really is my favorite time of the year. Thank you! I love Halloween because it’s a fun time for everyone. The weather begins to start getting cooler, not by much here in the desert, but enough o make a difference. Also our biggest dog show we train and enter for every year is in the fall. I love the fact there are less bugs and I can enjoy myself more outside hiking. I like the beautiful foliage and the apples at the orchard in the fall. I like seeing the leaves change color. All the bursts of color make fall beautiful. My favorite thing about fall is going apple picking. Love having fresh apples to bake pies. My daughter’s birthday in October is my favorite thing about Fall. My favorite thing about fall is the color changing of the leaves. I enjoy all the various colors that go on display. My favorite thing about fall is Thanksgiving because I get to have candied sweet potatoes and warm apple crisp with ice cream. My favorite things about fall are leaves, soup, and sweaters. Halloween is my favorite thing about fall! I love getting dressed up and going out with my daughter. ?Honestly, I’d have to say that my favorite thing about Fall is my birthday in a couple weeks, it’s the only time of year I actually have a little bit of money to buy somethings.? My favorite thing about fall is the cooler temps..sometimes it gets warmer. Bring on the sweaters! I love getting ready for Halloween. It’s my favorite holiday to decorate for. I like the cooler weather. It makes me feel so much more energized. My favorite thing is the cooling weather because I feel overheated too easily in summer. I love the changing leaves, and making my Halloween costume. I love watching the leaves change! Fall is my favorite. I love the cooler weather, all the fun harvest activities and the love boots and sweaters! I love the cooler weather and the lack of bugs!!! I am also a huge Halloween lover!!! Decorations are already up!! I love the cooler weather, the leaves changing, pumpkins, and all festivals ! Love the cooler weather during Fall! I arrived in Canada in the fall, so it’s a special if not, fave season for me. I love being able to walk around without perspiriing, the beautiful foliage of our maple and other trees in the city, the warm beverages I make at home like hot chocolate and baking desserts without making the house hot and humid. The scent of baking is a pleasant aroma that lingers, too. Most of all, I love soaking in the tub with Japanese bath salts or essential oils as I like this over showering. I love going to the mountains to look at the beautiful colors of the leaves and we like going to the pumpkin patch too. Campfires with friends is the best part of fall!